← Westport Boys Win Little League State Title; Girls To Follow On Tuesday? Bayberry Lane is like many Westport streets. There’s a mix of homes: handsome converted barns; stately Colonials; 1950s split-levels; modern, multi-gabled McMansions. Nothing — not a sign or a peek through the trees — indicates that the driveway at #128 leads to a 28-acre farm. It could be Westport’s best-kept secret: There’s a working farm a few yards from the intersection of Bayberry Lane and Cross Highway. 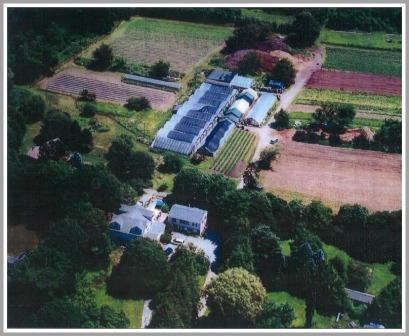 An aerial view of Belta’s Farm from several years ago shows fields, nurseries, a compost pile (near the top), and two homes (bottom). Four generations of Beltas — the farm’s founding family — live there. Dina is the widow of Jimmy Belta, who first farmed the land in 1946. Greg is her son. His children and grandchildren are there too. How much longer, though, is uncertain. 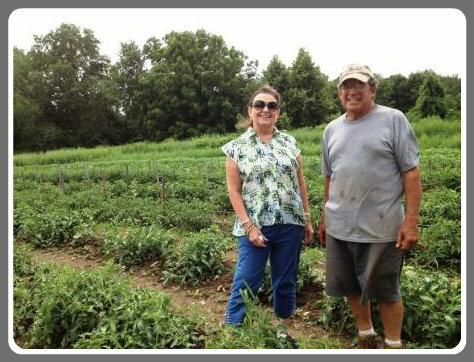 Connie Caruso and Greg Belta, in the field. Jimmy Belta’s parents had a small truck farm in Norwalk. After being discharged from his World War II service, James found the Bayberry Lane site, thanks to Leo Nevas. The Westport attorney also helped Jimmy buy the place from Evelyn Gosnell, a silent film star who raised potatoes there. For several decades, it thrived. Jimmy raised tens of thousands of chickens and turkeys. He had a slaughterhouse in back. In the 1960s he joined forces with Stew Leonard’s. Jimmy supplied the store with a ton of tomatoes — a day. They were prominently displayed, as the product of a local farmer. “That consumed the farm,” Greg says. Jimmy also grew basil, garlic and flowers. But in 2005 — slowing down a bit — he closed the wholesale business. 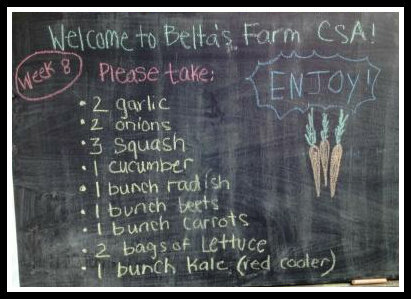 An easel tells CSA customers what to pick up each week. Today, Greg — who graduated from Staples in 1967, 2 years after Connie — runs the farm primarily as a CSA (community-supported agriculture). 80 families pay $500 a year for the right to pick up a variety of produce each week. The crate is always different. Greg grows eggplant, cantaloupes, peppers, carrots, kale, lettuce, radishes, onions, beets, arugula, mint, basil and flowers — and much more. His 125 chickens lay plenty of eggs. Greg’s daughters help run the CSA. But both are teachers — not full-time farmers. The retail business continues, in a way. Every Friday and Saturday (10 a.m. to 3 p.m.), the Beltas pitch a tent on Bayberry Lane. 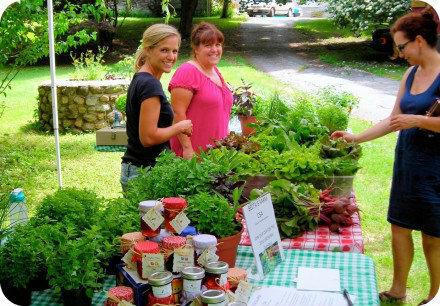 They sell fresh vegetables, eggs, preserves and the like from Belta’s Farm Stand. Belta’s Farm Stand — open Fridays and Saturdays, from 10 a.m. to 3 p.m.
As sustainable a farmer as Greg is though, he’s not sure how much longer he can sustain Belta’s Farm. His father died in early 2012, age 88. He farmed to the end. Greg is trying to make a go of it himself. It’s not easy. The land includes 18 tillable acres. The soil is “fantastic,” Greg says. (When the Community Garden began near Long Lots School, Jimmy donated soil for it.) There is room for fruit trees, and animal pens. 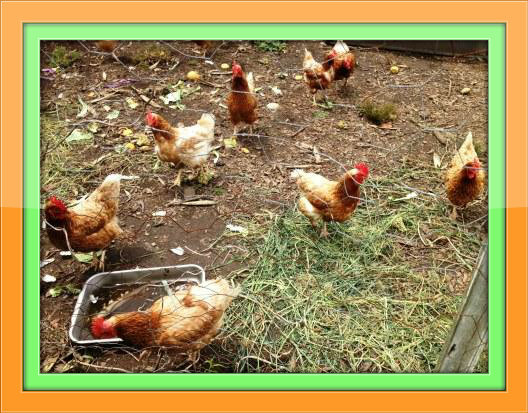 A few of the 125 chickens at Belta’s Farm. Greg and Connie would hate to see the topsoil lost, the land plundered. It’s zoned for 2-acre housing; if it were sold as a farm, or for some other non-residential use, it would have to be as an entire piece. 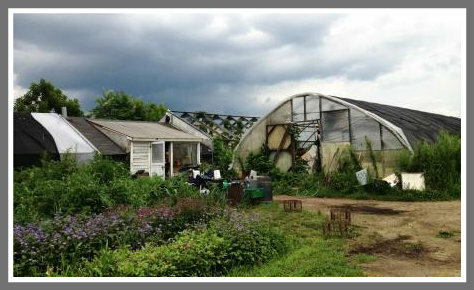 The future of Belta’s Farm is uncertain. Meanwhile, Greg puts his shovel in the ground every day. By himself. On a farm that’s been here — and in his family — for nearly 70 years. And which most Westporters have no idea even exists. This entry was posted in Environment, Local business, Looking back, People, Places, Staples HS and tagged Belta's Farm, Connie Belta, Greg Belta, James Belta, Stew Leonard's. Bookmark the permalink. I’ve known Connie since 1952 when we were at Greens Farms School together. Her and I share a common bond because both our parents, at one time, made their living as farmers in Westport. Also, when in town, in the summer, I stop in to buy fresh vegetables on North Maple Ave. where Bernie and John Stahursky set up their outdoor stand during the summer months. I’ve been looking for a local CSA. Do you know if he uses organic seeds and organic farming practices? Belta Farm is not organic, though their produce is excellent nevertheless. The Wakeman Town Farm provides access to a local organic CSA, the produce of which is provided by Sport Hill Farm. Contact the Wakeman Town Farm for more information. The CSA shares may be sold out for this year – I’m not sure – but you’ll have the information you need for next year’s CSA in any case. Amy, Are you sure about your comment that Belta is not organic? I cannot speak to the seeds they use, but they have told me in person that they do not spray anything for insects. That is why they do not offer corn, because you cannot keep the worms away unless you spray. I would love to hear the Belta’s chime in on their practices so we know for sure before telling people that they are not organic. Thank you for such a lovely post. I hope this family continues to receive the support they need to continue farming. It’s a wonderful contribution to the town. It would be a real shame if Belta Farm were lost, and replaced with acres of more McMansions. Let’s be sure to support their farm and buy their delicious produce! It’s time to activate the Town’s Land Acquisition Committee, appointed by the First Selectman several years ago. There was also a Land Acquisition Fund. Donna Belta was the 4th sibling. She was a wonderful human being and one of my oldest and dearest friends and she is dearly missed by many of her Staples classmates and friends. I am supposed to be on the veggie box waiting list now that my family no longer farms for ourselves, (we had a vegetable and tree farm on 3 acres Massiello Circle, now Boxwood Lane) Love to all of the Beltas are the salt of the Earth. We always went there for eggs and chickens. Glad to hear the family expanded into produce!! Very sorry to hear about the loss of family members. Understand that it’s hard work – what about getting students to help, for school credit???? The Belta’s have been very generous to the Westport Community Gardens, both when we started up on what felt like concrete soil. They also participated in the Sunday Farmer’s Market at Saugatuck Church (on hiatus due to the 2011 fire) where they donated extra produce to those in Bridgeport in need. Belta uses organic practices, you can buy compost for your garden by the yard, and if you are able to buy their farm fresh eggs, the flavor will take you back decades ago, when you could taste the difference.between mass produced and farm fresh direct. The Belta’s and the Stahursky’s sell the best veggies. As Bayberry Lane residents we are delighted and privileged to have both farms as neighbors. We can get any more local. Glad you showcased their farms and hope everyone supports them throughout the summer. Their produce can’t be beat! Belta’s Farm uses organic farming practices. We are not certified organic, but we only use organic pesticides and fertilizers. Everything we sell, with the exception of blueberries, is grown at our farm on Bayberry Lane. We appreciate all of the friends that we have made over the years. Their patronage has kept us going! Thank you everyone very much for all the information! I understand that being certified “organic” is quite a process, so using organic farming practices is good enough for me! I live near Bayberry, so I can’t wait to go there now!